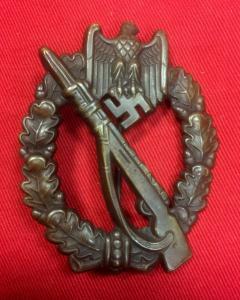 Excellent quality replica based on Hymmen's design. 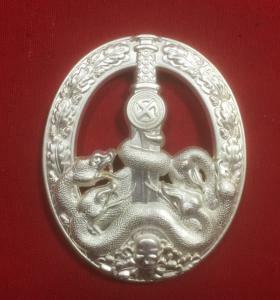 Good quality replica ,very detailed. 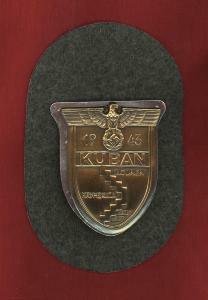 The Kuban Battle Shield was instituted on the 20th September, 1943. 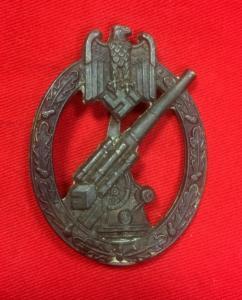 They were issued to members of the German armed forces who defended the bridgeheads of the Kuban region.Following their defeat at Stalingrad in February, 1943, the Wehrmacht was forced back into the Kuban region. 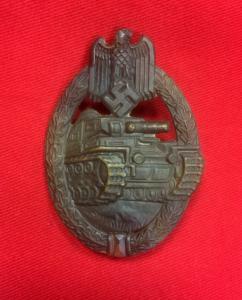 The bridgeheads in the region were of vital strategic importance, with Hitler earmarking the area as the potential base for launching a counter attack on the Soviet Army. The Kuban Shield was awarded to those who formed the defensive line through the region, symbolised by the lower half of the shield.Bronzed gilt finish, these shields are complete with steel backing plate and field grey cloth backing material. 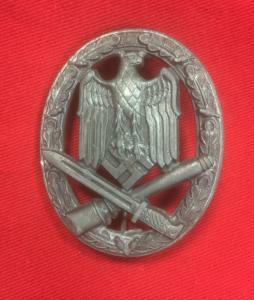 The Anti-Partisan badge in silver grade was instituted as a Waffen S.S. and Police award in January 1944 but were open to members of all services. 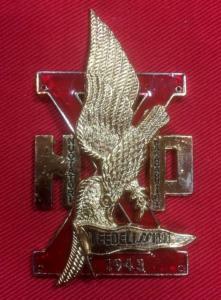 It was awarded for 50 days of active anti-partisan service. 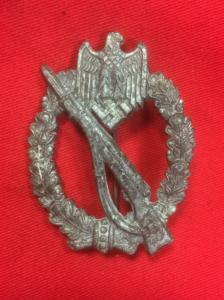 The badges are die-struck with a hollow back complete with flat pin fitting.